Castle’s production served as a reunion for both Barbara Stanwyck and Robert Taylor, according to the American Film Institute’s database entry on “The Night Walker.” Both Stanwyck and Taylor had previously appeared in “His Brother’s Wife” (1936, directed by W.S. Van Dyke) and “This Is My Affair” (1937, directed by William A. Seiter); the two silver screen players were married in real life from 1939-52 (according to IMDB). Castle’s 1964 Universal thriller entry marked one of Barbara Stanwyck’s final feature film appearances; according to additional information from IMDB’s trivia section. One year later, Stanwyck played the role of Victoria Barkley in the hit TV western, “The Big Valley” (with Richard Long, Linda Evans, Lee Majors and Peter Breck). She received on-screen credit as “Miss Barbara Stanwyck” in the series, which lasted from 1965-69 on ABC. One year after “The Night Walker,” Hayden Rorke went on to greater fame in the role of Dr. Alfred Bellows on Sidney Sheldon’s hit comedic series, “I Dream of Jeannie” (with Barbara Eden, Larry Hagman and Bill Daily; the series lasted from 1965-70 on NBC). Two years after her appearance in Castle’s screen thriller, Judi Meredith appeared in Curtis Harrington’s sci-fi/horror entry for James H. Nicholson and Samuel Z. Arkoff’s American-International Pictures; “Queen of Blood” (1966, with Basil Rathbone, John Saxon and Dennis Hopper). The source music orchestral score for Castle’s “The Night Walker” was composed by veteran music composer Vic Mizzy (according to IMDB). Mizzy was also known for his music compositions for the hit 1964-66 series adaptation of “The Addams Family” (including the iconic title song to the series). Be sure to watch (or record) Svengoolie’s upcoming showcase of William Castle’s “The Night Walker” (1964), this Sat. on Me-TV! 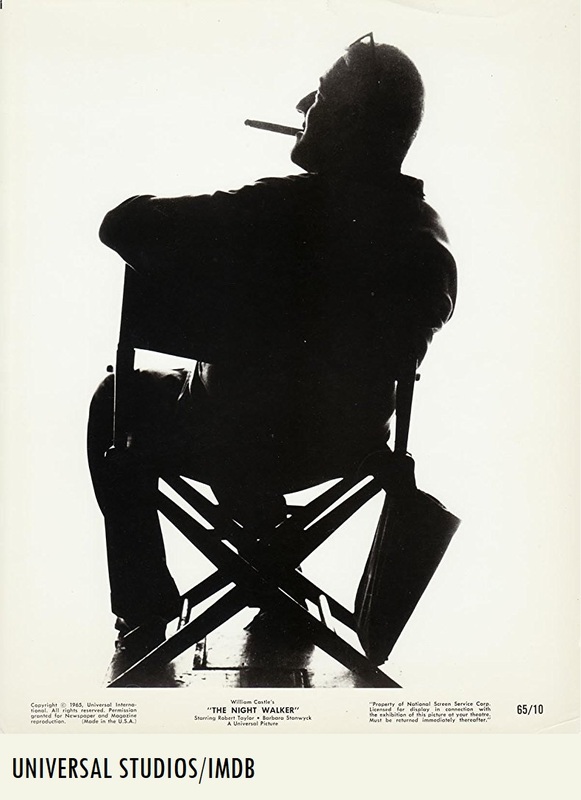 Universal Studios twinfold exhibitors’ advertisement for the release of William Castle‘s “The Night Walker” (1964), for the 1964-65 release season. 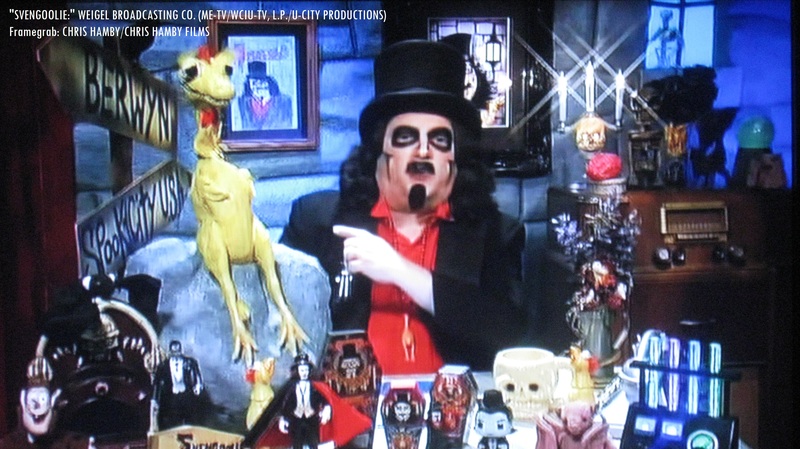 Svengoolie (portrayed by Rich Koz) and Kerwyn are ready for the big broadcast this Sat.! Note: June 16 marked the 39th anniversary of Sven (“Son of” Sven)’s Berwyn/Chicago television debut! With an ensemble cast of familiar faces from film and television; you won’t want to miss out on Sven’s upcoming big broadcast showcase of William Castle’s “The Night Walker” (1964), this Sat. on Me-TV! Be on the lookout for Sven’s extended fun facts about the feature, Doug Graves’ musical parody tune of the evening and Kerwyn’s famous “mail call” segment! Highly recommended to all fellow SvenPals and fellow aficionados of the master of macabre cinema! Join in on the fun during Sven’s showcase of William Castle’s “The Night Walker” (1964) this Sat. with all fellow #Svengoolie SvenPals everywhere via Twitter! William Castle’s “The Night Walker” (1964) is also available on Blu-Ray from Shout! Factory and their “Scream Factory” imprint, by arrangement with Universal Studios. 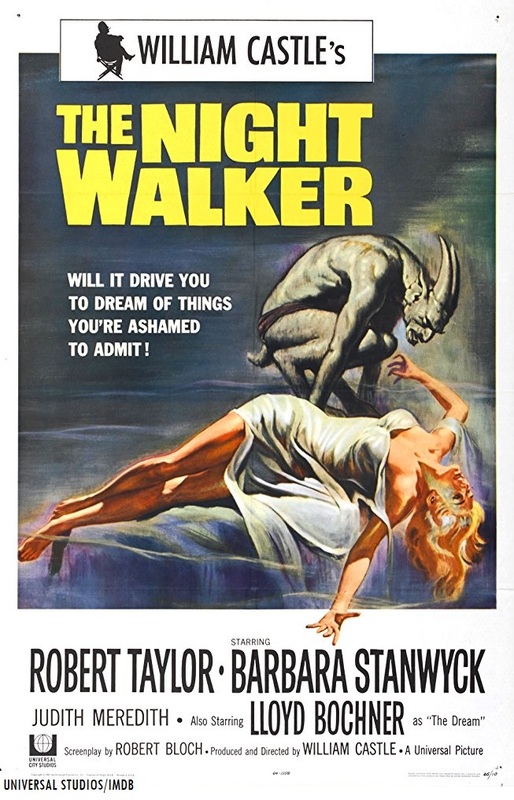 “The Night Walker” is also available on DVD as a Universal Studios horror double-feature set with “Dark Intruder” (1965), presented by Universal and Turner Classic Movies. Questions/comments about “Svengoolie” or William Castle’s “The Night Walker” (1964)? Drop a line at the comments section! Missed last night’s movie “Night Walker”. Really wanted to see it. Will it repeated? When? Thanks! Hi, Sandi! 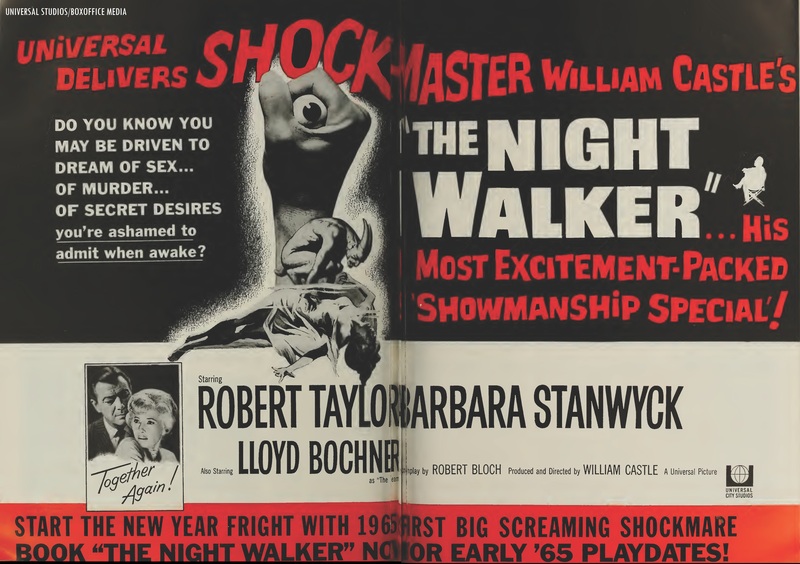 Depending on the broadcast contract that Me-TV has with Universal for the classic Universal (and Universal-owned) monster/horror/sci-fi features for Sven’s showcase, there’s an unlikely chance that William Castle’s “Night Walker” (1964) will be repeated soon. If you’re in the Berwyn/Chicago market, you have another chance of seeing Sven’s showcase of William Castle’s “The Night Walker” (1964) on Sven’s hometown station, WCIU-TV 26/”The U” (Chicago) Sat. morning (June 30) at 11 a.m. (local time).